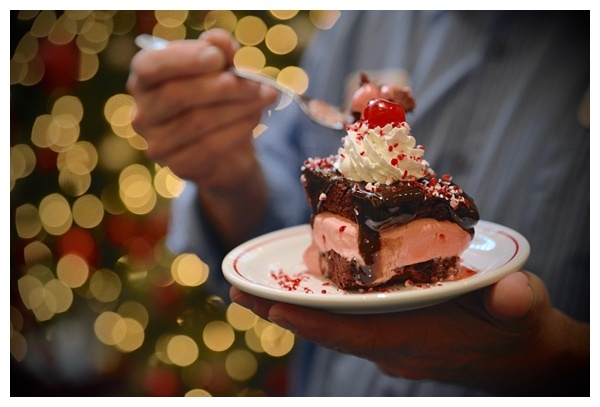 Since its debut in 1970, the Hot Fudge Cake has been one of Frisch’s best-selling desserts. 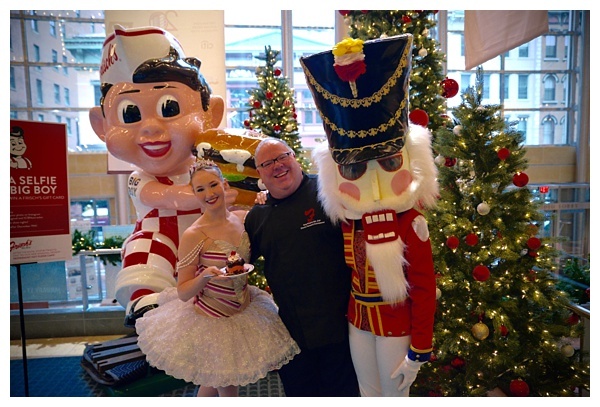 This year, Chef Greg Grisanti teamed up with the Cincinnati Ballet to put a special holiday spin on the classic dessert. 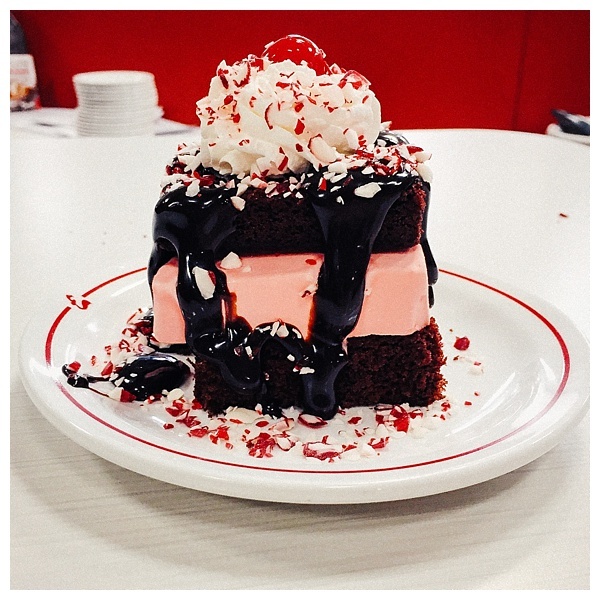 The Peppermint Hot Fudge Cake features rich peppermint ice cream sandwiched between two layers of moist chocolate cake. It’s completed with a generous drizzle of hot fudge sauce, a swirl of whipped cream, peppermint shavings and a cherry. Not only is it beautiful, but it tastes just as good as it looks! 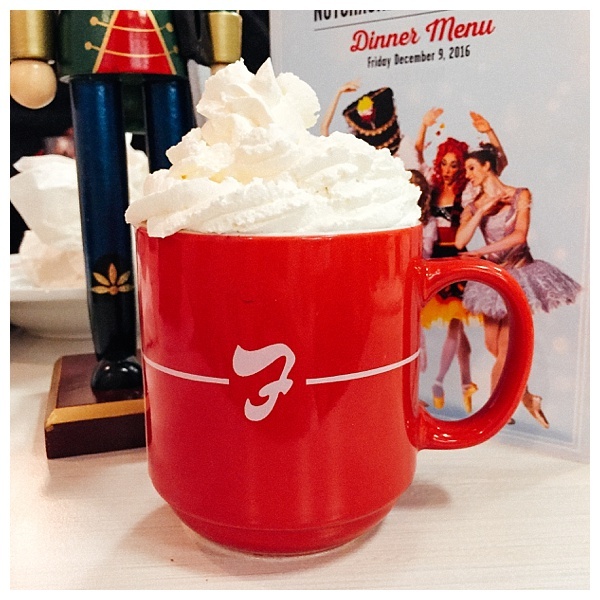 If you need help getting into the holiday spirit, stop by Frisch’s for a slice of Peppermint Hot Fudge Cake and a mug of hot chocolate. The sugar rush is sure to make you feel very merry! Don’t wait, the cake is only available until Feb 7, 2017. 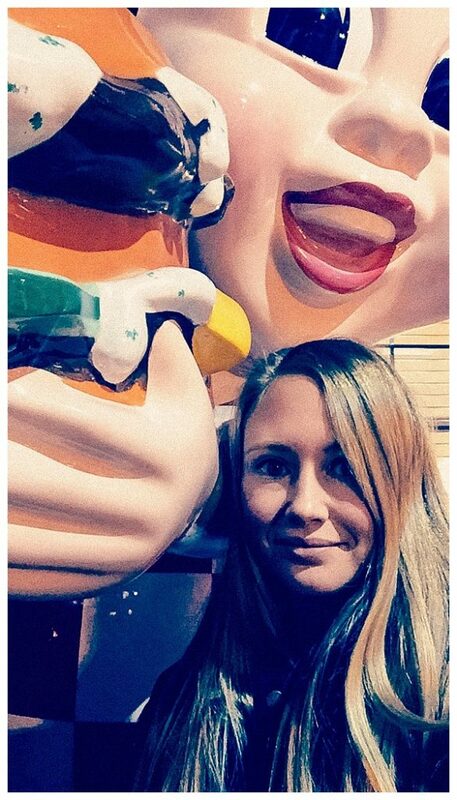 And it’s not a trip to Frisch’s if you don’t take a selfie with Big Boy…! Thank you to Frisch’s for sponsoring this post.